I’ve been meaning to make a White Chicken Chili since about well, 5 years ago. I hang my head in shame. My cousin made it for Christmas one year and I had never had it before and it was simply amazing. I failed to get the recipe and have been toying with the idea of it every since that fateful Christmas. Yet I was a little bit nervous to say the least. I mean what if it didn’t live up to that soup I had played up in my head for so long? Could I really deal with the dissapoint from it? Would I be crushed if it wasn’t as good? Could I try again if I failed the first time? You see my trouble. The life of a food blogger is sometimes rough. It can be defeating as you toss out one recipe after another because it’s an epic fail. Then thankfully you’ll get on a roll of successes just when you couldn’t take any more failures or your self-esteem sure couldn’t. Rough isn’t it? Enter this recipe into the equation. My co-worked had mentioned this famous chili recipe to me multiple times and offered it to me. It was like dangling a carrot in front of a rabbit. Yet, I received no recipe. It went on for a couple months until I finally broke down and sent his wife a Facebook message. I had the recipe in minutes. Now, why I ask myself, did I not do this before? Take the matter into my own hands! I love the fact that people have an amazing recipe and they’ll share it with me! It cuts way down on my failure rate and my self esteem is definitely way higher so I’m a happier person. So if any of you have some family recipes you want to share hit me up! I’d love to try them! 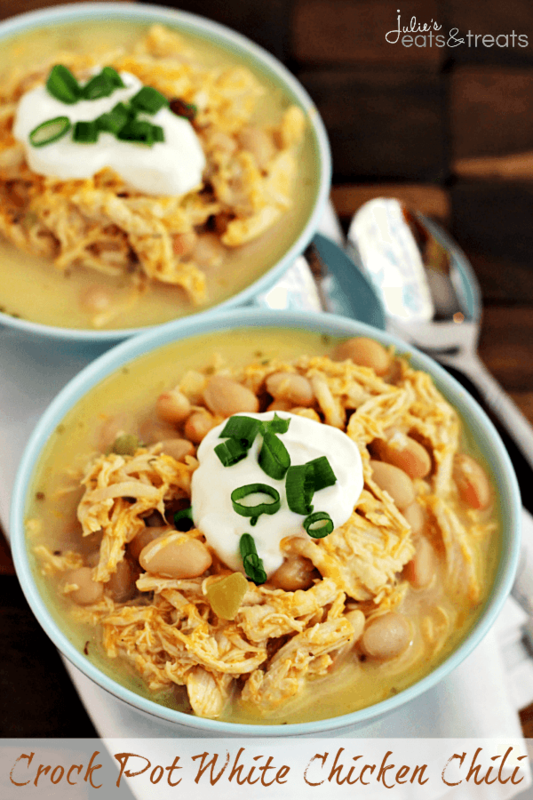 This yummy White Chicken Chili recipes simmers all day on low in your Crock Pot so you can go have fun or go to work like the rest of us. When you come home you have supper ready! Rock on right? I love that fact that it has the green chilies and cayenne pepper in it to give it a kick! Grab a bowl of this to warm you up on a cold winter night! 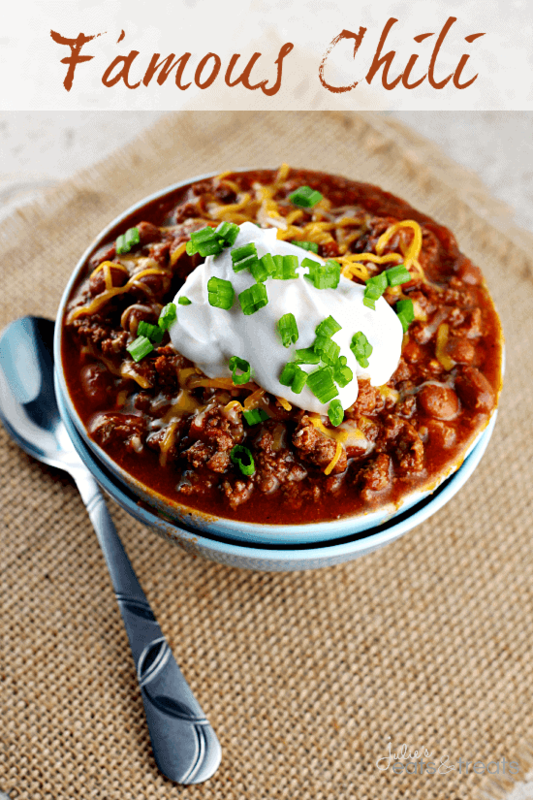 My Famous Crockpot Chili Recipe! 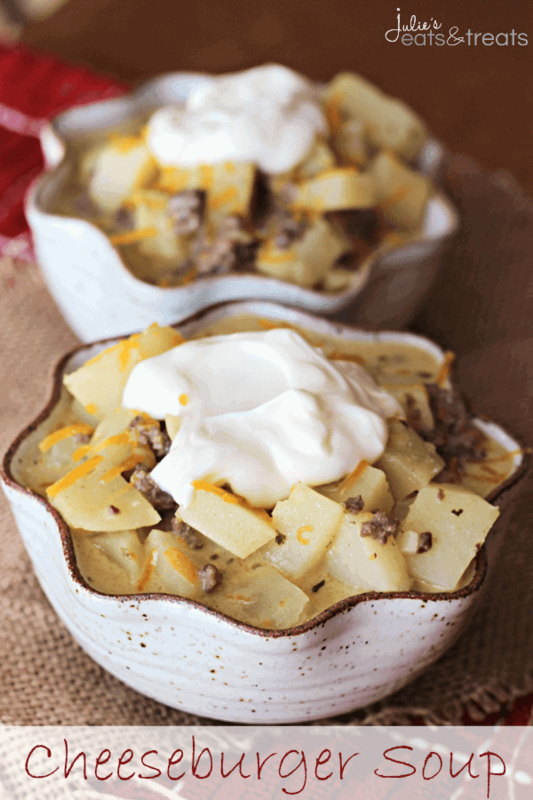 In a large crock pot mix all ingredients except sour cream and cheese together. Cook on high for 4 hours or low 6-8 hours. During the last 30 minutes stir in sour cream and cheese. Cook for remaining 30 minutes. Famous Chili ~ Amazing chili to warm up to on a cold winter’s day! You are speaking my language with this chili! I love chicken chili! Good thing you finally got this recipe to share with us! Looks delicious!! I am a sucker for crock-pot meals. You and I both Steph! This chili is amazing! 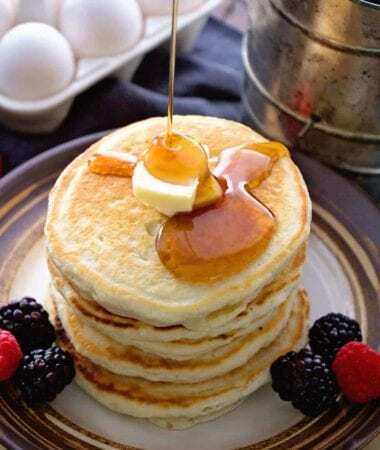 I mean seriously I want this for breakfast! I won’t tell anyone if you do! 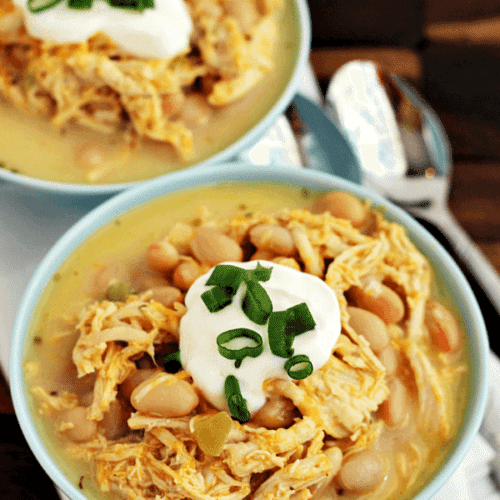 This white chicken chili looks delicious and hearty! I love the idea of chicken chili because it’s healthy and a whole different flavor from beef chili. Thanks for sharing! This chili looks great and I love it with the white beans! I’m getting hungry looking at your pictures! This looks good, Julie! 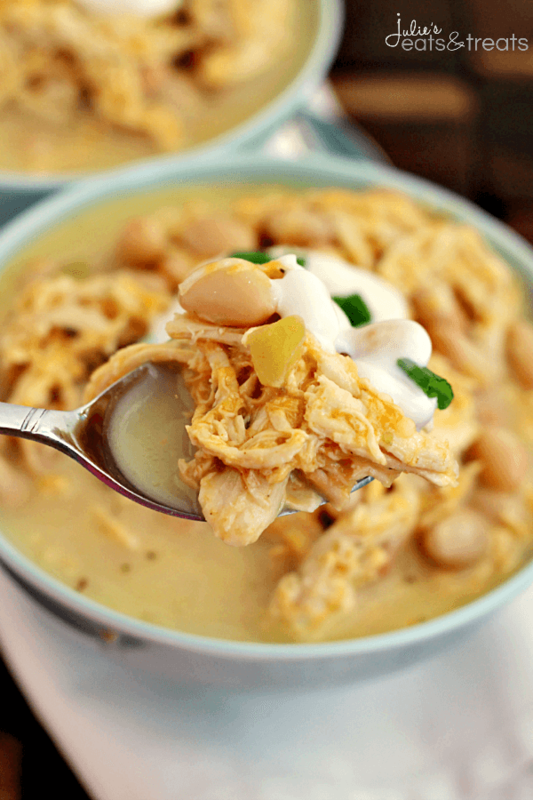 I love white chicken chili and I love it even more when it’s easily made in a crock pot! Pinned and featuring on social media. Thanks for sharing at Marvelous Mondays! I hate the food blogger pressure…I totally know what you mean! But I love white chicken chili and it looks like you hit the nail on the head with it!! Nothing like a bowl of chili to warm you up. Looks delish! Oh my… this looks fantastic! This is excellent. I just made it in a pot. It didn’t make much sense to have to add cooked chicken & have all sit in crockpot. Mine cooked up pretty fast & had lots of flavor. Glad you enjoyed it Missy! In the crock pot as I type this, I am hoping it will be as good as it smells! First time ever trying white chili. Hope you enjoyed it Monica!